January 2016 – Many states made significant improvements to their ‪#‎charterschool‬ laws in 2015, but only one state can claim that they were the best. Florida scored 156 out of 228 — ranking 9 out of 43 states. 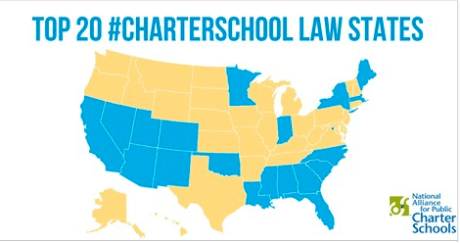 Florida’s law does not have a cap on charter public school growth, provides a fair amount of autonomy and accountability, and provides a robust appellate process for charter school applicants; however, it still provides inequitable funding to charter public schools. Potential areas for improvement include creating authorizer accountability requirements and ensuring equitable operational funding and equitable access to capital funding and facilities. Read more about Florida, and which states did the best and worst in improving their charter school laws last year.